Another liberal teacher, this time in Lodi, CA, has decided his political beliefs were more important than his students’. High on his power and righteous indignation, he singled out two students for wearing NRA shirts in his classroom. The history teacher said the NRA shirts — which, consequently, didn’t even feature images of firearms — were inappropriate and told the two sophomores to remove them. 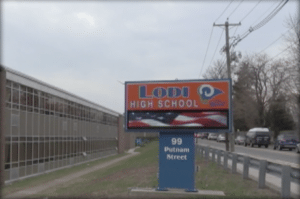 When neither of them did, one was sent to the office and the other, a 15-year-old girl, was lectured in front of the class, according to the girl’s mother, Charlene Craig. So what was so offensive about this awful shirt? 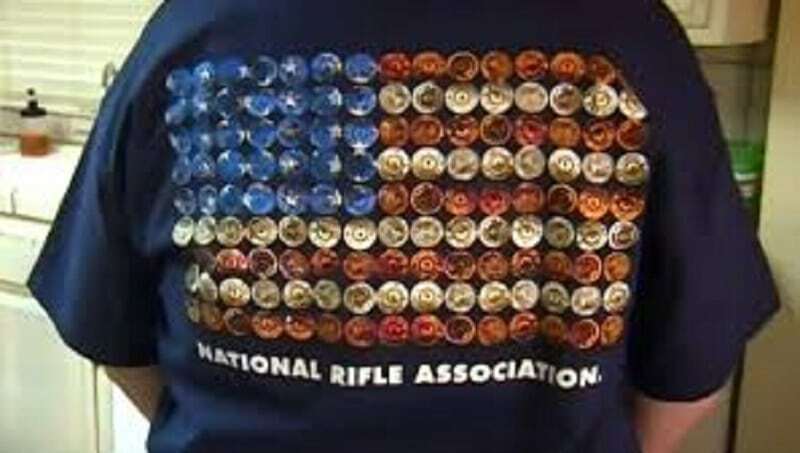 The front had an NRA logo and on the back was the United States flag made up of shell casings. Under the picture was “National Rifles Association.” You got it, folks. There were no gory scenes of shooting people or obscene language. In fact, there wasn’t a single picture of a weapon, just the casings. The school’s policy on appropriate clothing only states there cannot be images of weapons on clothing, not company logos. But then, teachers and schools picking on conservative students for their political and personal beliefs is, unfortunately, nothing new; it’s only growing in popularity. Let’s not forget about the Oregon high school student who was suspended from school for wearing a pro border wall sweater. Isn’t it ironic that the teacher chastising these young students claims to be knowledgeable enough to instruct them on history? The First and Second Amendments are clear; a right to free speech and a right to bear arms. This egotistical liberal tried to infringe on both students’ constitutional rights – during a history class, no less. To some, the shirts may be offensive or seen as inappropriate because of the recent school shootings, but on the other side, it is extremely offensive and worrisome that there are some who want to take away our gun rights. People get in car accidents every day, and there are suicidal idiots who use their cars to mow down people in shopping centers, but that doesn’t mean we should prohibit wearing shirts with Chevys on them. The logic is lost on the left – guns don’t kill people, people do. Still, the libs feel they have every right to force their opinion on others, including impressionable students, while taking away those same rights for those they oppose. 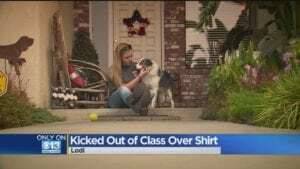 The Lodi Unified School District released a statement saying “…the school administration reviewed the t-shirt in question and determined that it did not violate school dress code policy,” and they will refresh staff on appropriate attire and procedures. Nothing, however, was said about the history teacher’s actions and if there would be any kind of repercussion for him. Read More – Antigun Teacher Targets Teens over NRA Shirts at Liberty Nation.